A dangerous idea has threatened the American Dream from the beginning the belief that some groups and individuals are inherently superior to others and more deserving of fundamental rights. Such biological determinism provided an excuse for some of Americas most shameful history. And now it s back. 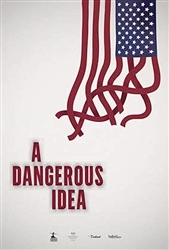 The documentary A Dangerous Idea reveals how biologically determined politics has disenfranchised women and people of color, provided a rationale for state sanctioned crimes committed against America s most vulnerable citizens, and now gains new traction under the Trump administration.